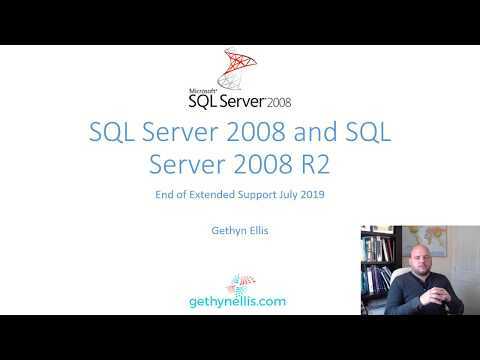 Welcome to gethynellis.com: What is SQL Server? Whilst that sounds like a straight forward tasks, I have found this video quite hard to write and put together and it took at least 5 takes to record the 8 minutes. There is a lot to SQL Sever and it very difficult to summarize into a YouTube video, which I’m told for optimal views should be 7 minutes or less. This is 8 minutes long. Try as I might I couldn’t squeeze it into 7 minutes. This is my second video as I do more of these and get better at it I might revisit this topic again to try and hit the 7 minute mark but I’m happy with this for now. The video is loosely based on this blog post from February 2016 Introduction to SQL Server: The Main Components.